The Sociable Weaver Project is seeking to hire one motivated (+rigorous and patient) student to analyze videos collected in the field. 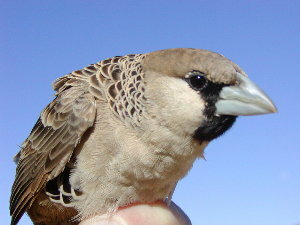 The student is expected to determine the time each individuals spent at a feeder. The aim of the analysis is to test the hypothesis that dominant individuals get a better access to resources (i.e. prolonged access to the food). The student needs to be available ASAP in order to analyze as many videos as possible until 4 June 2014. There are 20*30min of videos to process. The remuneration details are still under debate but it will be around R50/hour.